In my last few posts about the Vail Resorts acquisition of Park City Mountain Resort in Park City, Utah, we had yet to hear about the big changes facing the resort and community. It’s now time for an update and it seems the changes will be just that, big! Vail Resorts will announce their new ideas for the Park City Mountain Resort facilities later this year. However, the proposed ideas will come in addition to the plans to connect Park City Mountain Resort and The Canyons in Park City to make it the largest ski resort in the country! Not only is the Vail Resorts acquisition—and subsequent resort plans— beneficial for Park City Mountain Resort, but also for the local community and local real estate. To begin, the improvements to PCMR will elevate its position among others, launching it into the top tier of ski resorts in the world and creating a demand and push to visit Park City. Vail Resorts also owns several other resorts in Switzerland, Japan and France, all part of their Epic Pass program. 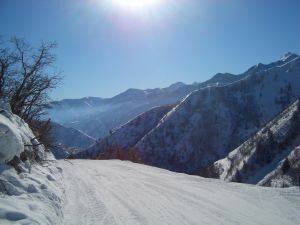 In connecting Park City Mountain Resort and The Canyons to that program, Park City Utah is sure to see an influx of visitors in the near future. Park City is an ideal destination for tourists and the best place in all of Utah for ski trips and vacations. It’s no wonder Vail Resorts is attracted to the mountain community and all that is has to offer. In fact, as a result of their PCMR acquisition, part of their new marketing plan will be to emphasize just how unique Park City is and share that with their global patrons. Park City will see significant changes as the Vail Resorts plans get underway and not just in terms of the resort. Vail also has plans to create a richer dining and shopping experience for those visitors—including international ski enthusiasts— that will soon flock to the area to take it all in. Do not hesitate to contact me with any questions you might have about how these changes will impact the local real estate market! I also serve the communities of Kamas, Heber City, Midway, Francis and Oakley.